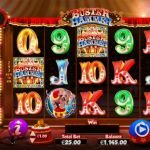 Buster Hammer is a video slot game that was developed in collaboration with Chance Interactive and Nextgen Gaming. The game is circus themed and offers lots of fun. The design is superb with 3D graphics and realistic animations. You are put right in the center with the audience cheering at you as you collect prizes. 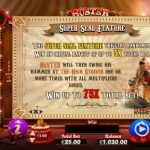 There are 2 special symbols in Buster Hammer that we want to see more often on the reels than the others, the wild symbol which substitutes for every other symbol to complete a winning line except for the scatter, and the scatter of course which is the key to the main feature. Every time you land a win with a wild, Buster will swing his hammer and reveal a multiplier that goes up to x5. The main feature as we said is the free spins round which is activated every time you land 3 or more scatter symbols. Then, you will have to choose between 4 free spins with x2 multiplier, 6 free spins with x3 multiplier and 8 free spins with x4 multiplier. There is also a random feature Super Seal that will award you with a multiplier that goes up to x5. This comes with a nice animation of course. 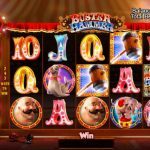 Buster Hammer is definitely a video slot game that is worth the admiration. Nextgen Gaming has done an amazing job in creating this engaging slot. They have [aid attention to every detail possible and the only thing that is left is to play this game and enjoy their creativity. There are a couple of features that will help you land some good wins too, which is a nice addition to any game, right? We advise you to give this game a chance you will have no regrets. If you like fast paced games with high variance and huge jackpots then consider playing Bonanza a 5 reel slot by BTG.